The Elder Scrolls Online: Tamriel Unlimited v2.0.10 is an incremental patch that fixes a few issues with quests, gameplay, and also adjusts some grouping rules within Veteran Ranks. The size of this patch is approximately 2.6GB for English and French, and just under 1GB for German. 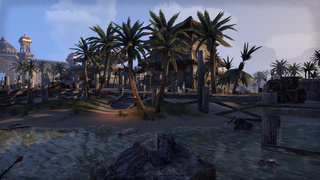 The Elder Scrolls Online: Tamriel Unlimited v2.0.2 is an incremental patch that introduces fixes to issues surrounding gameplay and UI, and also increases XP received in Trials and Cyrodiil. The Alliance War has received a number of other improvements which we encourage you to check out below! We are now just a day away from Tamriel Unlimited & ESO Buy-to-Play. Tamriel Unlimited will be available on PC and Mac on March 17, 2015 and on Xbox One and PlayStation 4 on June 9, 2015. Tamriel Unlimited will undoubtedly bring lots of both new and returning players to the game. 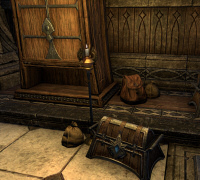 This article explains the buy-to-play model of The Elder Scrolls Online and provides some resources and tips for new players to help get started in ESO. First of all: Welcome to all the new players and welcome back to the returning players! Whether you have been a subscriber since the release of ESO, are just about to return to the game or have decided to give the game a try, Tamriel Unlimited is a reason to get excited. The patch many of us have been waiting for is finally here. Update 6 and Justice & Champion Systems are now live. Provisioning has also received a complete overhaul. The aim of the provisioning revamp is to reduce the huge number of available provisioning ingredients and recipes, which will also help a lot with inventory management. An interesting bit of information is that ESO is now rated PEGI-18, which opens up possibilities for developing a game targeted for more mature audiences. Welcome to The Elder Scrolls Online v1.6, our sixth and largest major content update thus far! We have many significant new features in store for you. In this update, we’ve added the first phase of the Justice System. This will allow you to commit criminal actions throughout Tamriel such as theft, burglary, pickpocketing and murdering NPCs. We’ve also implemented the third phase of the Champion System, which introduces Champion Points and an entirely new UI where you can use these points to unlock passive abilities. We encourage you to check out the details below to learn how both these systems will work. Zenimax did a couple of huge announcements today. Starting on March 17 2015, Elder Scrolls Online will be free to play for previous subscribers and buy to play for new players. 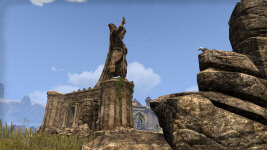 None of the previous game content will be locked behind subscriptions after Tamriel Unlimited goes live – players can experience every story, class, faction and content update up to at least game update 1.6 (Justice & Champion Systems) without subscribing. The other major announcement Zenimax did was the release date of ESO for PlayStation 4 and XBOX One: ESO will be available for PS4 and XBone players on 9th June, which is a year later than was originally planned. The Elder Scrolls Online v1.5.8 is an incremental patch that addresses a variety of outstanding issues surrounding gameplay, dungeons, and quests. In an effort to improve performance in Cyrodiil, we have also escorted all deer and torchbugs to greener pastures. Please note the version number on the client will still say 1.5.7 after maintenance; this is a known issue, and will be fixed with our next maintenance. This patch will be approximately 200MB. 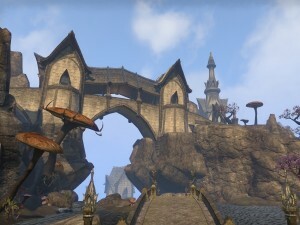 The Elder Scrolls Online v1.5.6 is an incremental patch that has addressed issues in Cyrodiil and a number of quests. We have also adjusted the health and power of monsters in dungeons scaled to at least Veteran Rank 1, and have made many audio fixes and improvements that we’d love to get your feedback on.